Did you ever wonder how we made those awesome sliders on MobiDemo.net? 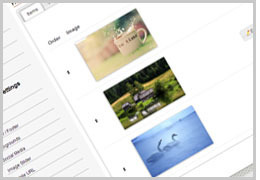 We've now made it easier then ever for you to add swipe sliders to your home page using the new Image Slider module. Click here to see a sample of our image sliders in action. You can now add multiple images that scroll horizontally to enhance your brand. You can control the slide speed, transition speed, height and even add links to the slider images. These images can be added to the mobile site home page and/or internal pages. Our platform will automatically resize slider images to exactly fit your customers' smartphone (or based on the height specified). You can now quickly and easily add RSS feeds to your photo galleries. 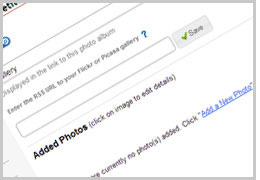 Just make sure you have a Picasa or Flickr account where you store your images. Once you do, it is simply a matter of adding the RSS feed made available through Picasa or Flickr and viola; our platform does all the heavy lifting of creating thumbnails and perfectly-sized images for your customers.